The Children’s Health Fund was established in 2015 with an initial donation by the High Mountain Hay Fever Bluegrass Festival Association. A contractual agreement was signed by the Bluegrass Association and the Wet Mountain Valley Community Foundation to designate the Children’s Health Fund as an Advised Fund to be managed by the Wet Mountain Valley Community Association. A committee of health aware community members were appointed to administer a grant cycle process made available to local governmental agencies and nonprofit organizations for children’s health programs and projects. Grant applications are obtained here on the Wet Mountain Valley Community Website and submitted either online or by mail to the Children’s Health Fund Committee to be reviewed and assessed for grant funding awards. Yearly awards are given for appropriate programs that address children’s physical, emotional, social, and educational health. Over the past three years, $67,000 has been awarded to multiple agencies and nonprofit organizations for children’s health programs. 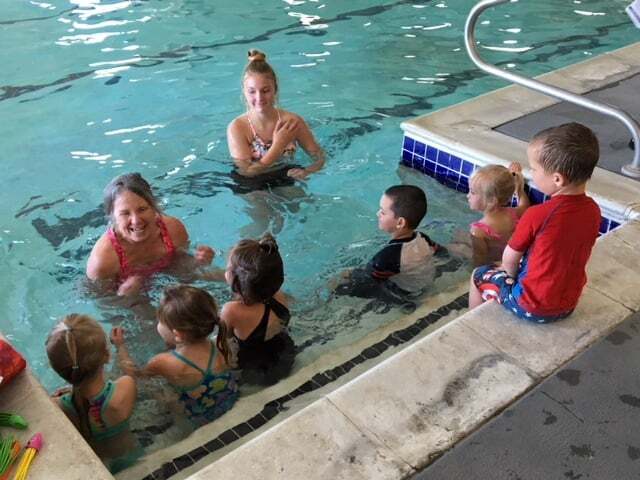 Custer County School District, Altitude Community Fitness, Valley Parks and Rec, Saddle Club, Custer County Public Health, Sol Vista Health Agency, and the Custer County Kids Council have all received supporting grant funding from the Children’s Health Fund. Programs include the Elementary Swim, Parent-Child and Preschool Swim Programs; Country Strong Teens Equine Assisted Activities Program, Custer County School based Sources of Strength Program, Installation costs for the new water-filling stations and hygiene education for the school district, Summer Fun and Food project for healthy summer physical activities and sports training combined with a healthy lunch, the Summer Engagement and Outreach Program for at-risk high school students directed by the school district, funding for an affordable local dental program through Public Health that offers financial assistance for underinsured or uninsured families, and funding for the newly formed Custer County Kids Council for structuring and organizational financial assistance. Grant awards are full or partial awards at the discretion of the Children’s Health Fund Committee and are reviewed based on whether they are appropriate for the description of the grant purview, well-planned, complete and thorough. Several agencies and organizations have received funding over two or three years with priority given to projects and programs that impact a greater number of children, show repeat participation by the community, are documented as effectively managed financially, exhibit collaboration with other agencies or nonprofits, and demonstrate matching funding from larger foundations. However, small and large programs are considered for awards and a sustainable program is held in high priority by the committee. The Children’s Health Fund Grant Application process is a great source for local funding for children’s health programs, with available guidance through the grant process, grant applications that are short and easy to complete, workshop information and assistance early in the grant cycle, biannual reports that can be submitted online or by mail, and a committee who cares about our community and our children’s well-being. Contact the Children’s Health Fund Committee for more information or donate to this fund today. Grant applications can be submitted online or mailed in hard copy form.